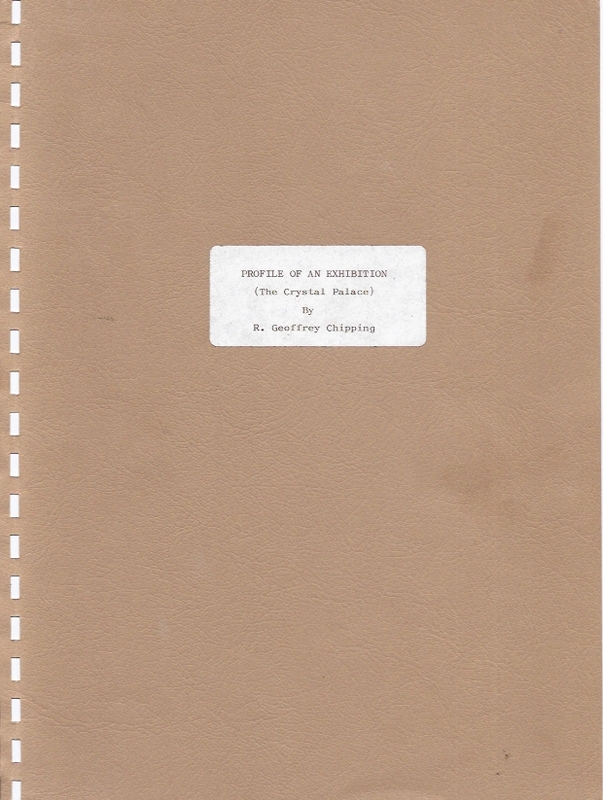 This limited edition report (15 copies) and never before publicly available was produced by the Crystal Palace Exhibition Committee (CPEC) - predecessor to The Crystal Palace Foundation following their exhibition of 28 May 1979. The report gives full details of the exhibition with pen-pictures of the organisers and how they wished to see a society being formed. 28 pages papback 11 illustrations, drawings and plans. Supplied with 18 colour photographs of the exhibition, 4 dyeline images of pencil sketch drawings of Crystal Palace Park by Alan J. Watson and R. Geoffrey Chipping and a floor plan of the exhibition. The book will supplied as a pdf together with the images as jpegs on a single DVD.